Workshops Tuesday to Thursday, for 6-12 yr olds, cost £8 per child. All three workshops are £20. oin us over the half term break for a series of workshops inspired by our new exhibition The Practice of Theories. 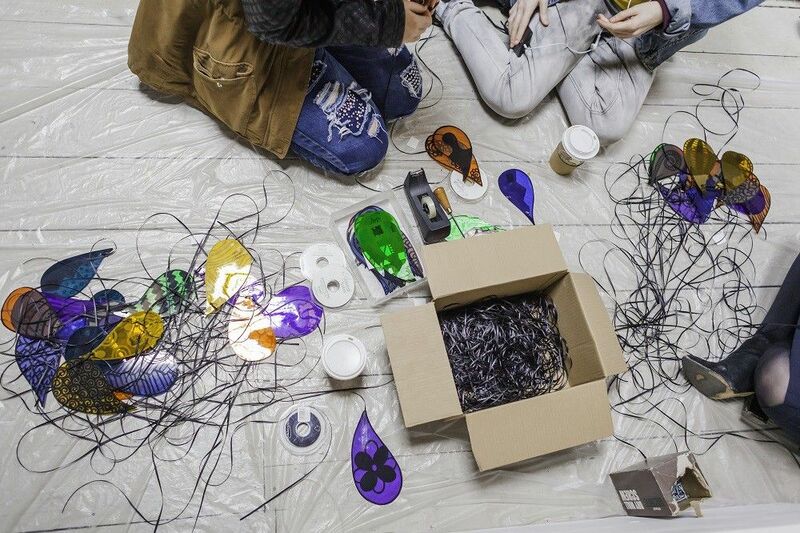 During a series of workshops inspired by our new exhibition The Practice of Theories, we’ll be working as a group with an artist and our young people’s group Circuit Cambridge, to create and explore information sharing systems. Each workshop will be different and will include elements of writing, sound, pictograms, collage, printing and photography. We’ll be sharing ideas and learning to create content for group publications. Workshops Tuesday to Thursday, for 6-12 yr olds, cost £8 per child. All three workshops are £20. You are welcome to attend one, two or all three workshops. Children must be accompanied by an adult. Parents and guardian are welcome to join in the activities. Friday’s workshop for young people aged 13+ is free but booking is essential. If you have attended our family workshops in the past you can expect this activity to be similar but to be more focussed on collaboration and group work; reflecting our theme across 2016, Wysing Poly, which explores the practical application of ideas. The Practice of Theories is a group exhibition that brings together artists who seek to make visible the intangible and who share knowledge or complex theories through their work and working methods. It includes sculpture, painting, sound and installation and we will spend time in the exhibition as part of this activity.